I’m going to do a bit of a dump, as charming as that sounds, as despite my best efforts I have not been posting as regularly as I had hoped. In a bid to clear some of my backlog, I’m going to summarise a few recent (or not so recent) eats. First up, a long overdue follow up visit to Admiral Cheng Ho in Abbotsford for a catch up with some old school friends. There’s been a change in menu since my last time there, with all dishes now completely vegan with the optional extras of cow’s milk, feta, yoghurt etc. It’s nice to be the ‘norm’ and not have to pay extra for the vegan option for a chance. A winning move in my books. I went with the ‘Crazy Jimbo’ – polenta bread with almond feta, sauteed kale and seasonal veggies with tangy beetroot relish and basil cashew cream. Funnily enough, it was basically the same dish that I had last time, though with polenta bread replacing zucchini fritters and the addition of almond feta. I recognised this before ordering, but just like last time the idea of all the different components – especially tangy relish and smooth cashew cream – won me over. I was not disappointed, enjoying each mouthful to the very end. I could honestly eat this every morning. 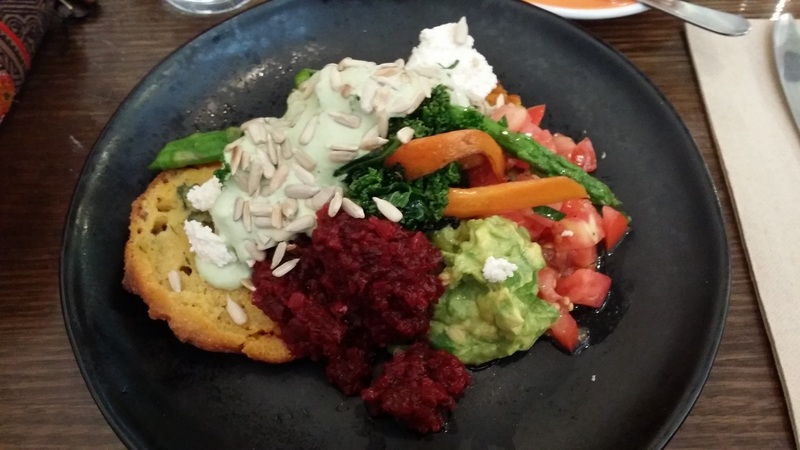 One sunny weekend, I went for a family catch up lunch to Nourished: 385 in Prahran. A relatively new cafe on the scene, it’s shtick is “clean eating” – whatever that means. The thing I like about all this new super clean wonder health eating hoo-ha, is how it is easier to find vegan meals in a wider variety of places. With that in mind, we went along. Nourished:385 is pleasantly located next to the shady Victoria Gardens, and as we sat out in the back courtyard we were able to overlook the greenery, where babies and dogs ran wild. Unfortunately, the vegan brekkie item I had seen in my quick internet search prior to choosing the place was no longer on offer, and the only items I could have were smashed avocado minus the egg or a quinoa salad. Not wanting to be overcharged again for some avo on toast, I went with the salad. Unfortunately, I can’t say this was a winner. 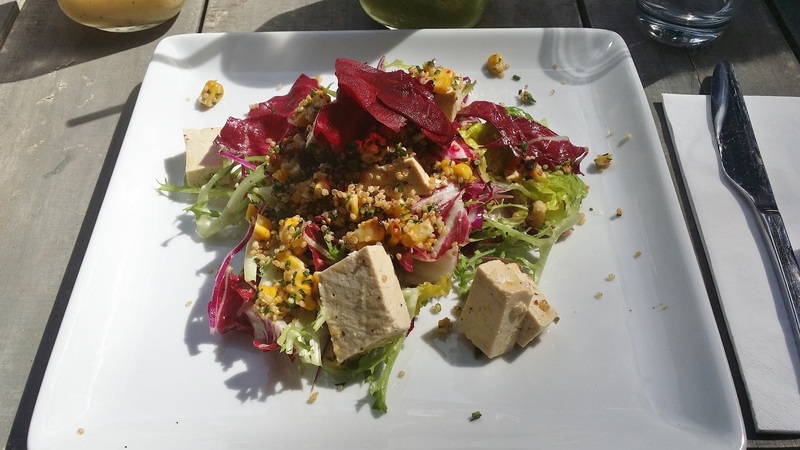 For $18, I expect more than some mixed salad leaves, a sprinkling of quinoa, corn, beetroot and tasteless ‘marinated’ tofu – expensive and thoughtless. The dish I had above at Admiral Cheng-Ho was $16.50 for comparison’s sake. Others enjoyed their meals more, but I was disappointed. Going way back now, I was driving back through Carlton North and decided to stop at Natural Tucker Bakery to pick up some lunch. 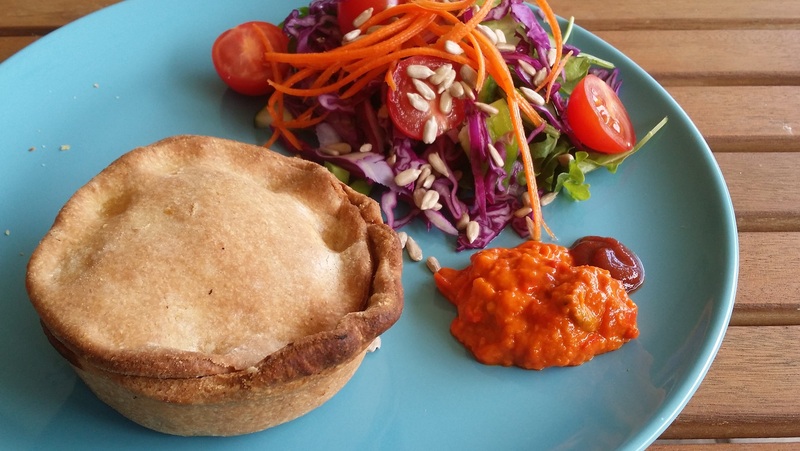 I grabbed a few wholemeal vegan pies for the bear and myself, and heated them up at home with a side of salad and ajvar. 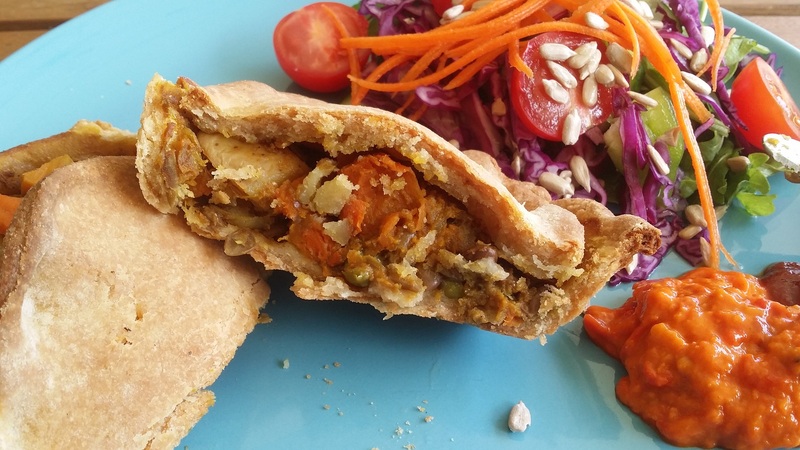 The pies were pretty rustic, full of hearty chunks of veggies and lentils. And when I saw there were vegan lamingtons on offer, how could I not? 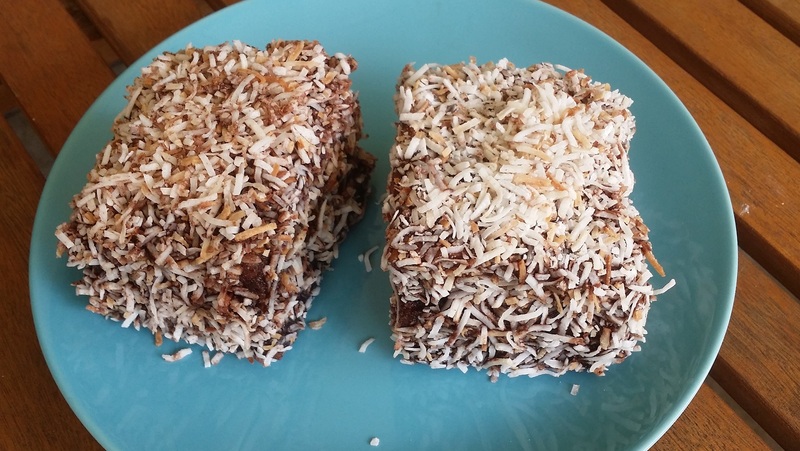 Because vegan lamingtons. I particularly enjoyed the toasted shredded coconut coating the outside. Phew, and that’ll do me for today! Tune in next time for more eats from this little vegan bear. 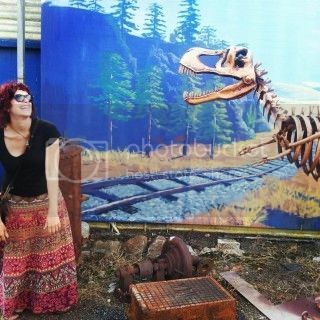 Roar.